User's Manual for Roland EGX-30A Desktop Engraver. This installation and setup guide (PDF) details how to install R-Wear Studio software. 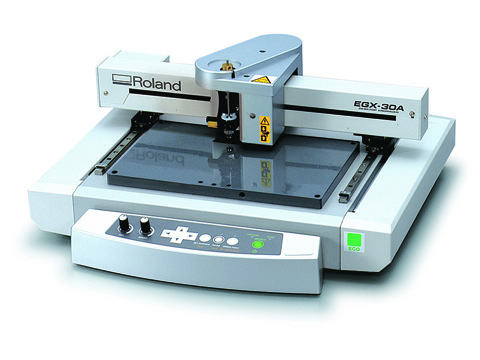 Quick start set-up guide for Roland's EGX-30 and EGX-30A, for plastic engraving and scribing applications. This is an updater for R-WearStudio ver. 1.32. A previous version of R-WearStudio must be installed for this work. This video covers the out of box configuration and setup of the EGX-30A for basic Scribing and Engraving and is composed of 3 chapters. This is Chapter 1 of 3. This video covers the out of box configuration and setup of the EGX-30A for basic Scribing and Engraving and is composed of 3 chapters. This is Chapter 2 of 3. This video covers the out of box configuration and setup of the EGX-30A for basic Scribing and Engraving and is composed of 3 chapters. This is Chapter 3 of 3. EGX‐30A What are the differences between the EGX‐30 and EGX‐30A? What are the differences between the EGX‐30 and EGX‐30A? What applications can I use my EGX‐30A for?